The high-energy Sogbety Diomande troupe will perform at Northeast State on Tuesday, Feb. 11 for a night of West African drumming and dance with colorful costumes, masks, and native rhythms and songs. Sogbety Diomande was born in the village of Toufinga, a small African farming community located in the Northwest region of the Ivory Coast near the border of Guinea. He started his career as a drummer and dancer at a very early age. He has toured with Ballet National de Cote d’Ivoire; been a member of Kotchegna Dance Company, Mask Dance Company, and has been featured with many troupes in New York City and around the U.S.
Diomande moved to North America permanently in December 1997 and found his niche in New York City. He was featured as the lead djembe drummer on cult legend Jimmy Buffett’s No Passport Required tour. He has also toured with Jim Donovan’s Drum the Ecstatic, which included performances and workshops at schools, universities, festivals, and other venues. Diomande hosts the annual West African Celebration where he brings master drummers and dancers together in rural Ohio to teach and perform at his three-day drum and dance camp. The free performance begins at 7 p.m. in the Wellmont Regional Center for the Performing Arts at the main campus, 2425 Highway 75, adjacent to Tri-Cities Regional Airport. The production is part of Northeast State’s commemoration of Black History Month throughout February. For more information, contact 423.279.7669 or jpkelly@NortheastState.edu. The Northeast State office for Scholars Programs hosts a free drop-in session this month to help Northeast State students apply online for 2014-2015 East Tennessee State University scholarships. The session happens Jan. 31. The session is scheduled Friday, Jan. 31, from 10:30 a.m. to 12:30 p.m. in C2308 of the General Studies Building at the main campus in Blountville. 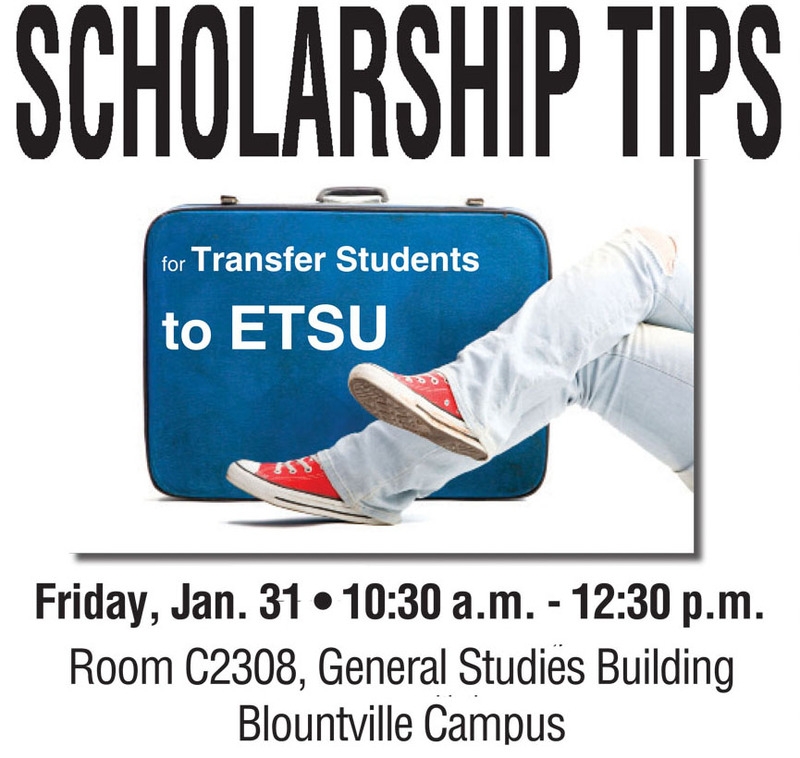 Representatives from the ETSU Scholarship Office will be available to assist with the applications. Students attending the workshop should be prepared to upload information on employment, extracurricular activities, honors, community service, and high school or college academic records. Information from these documents may be required to determine eligibility for scholarships at ETSU. The ETSU Application for Admission must be on file with the university before the scholarship application can be processed. Sponsored by the Northeast State office of Scholarship Programs and the ETSU Scholarship office. The Northeast State Community College Department of Theater announces open auditions for their spring production of The Lion, the Witch, and the Wardrobe. Auditions Jan. 28-29 – opening night April 3. 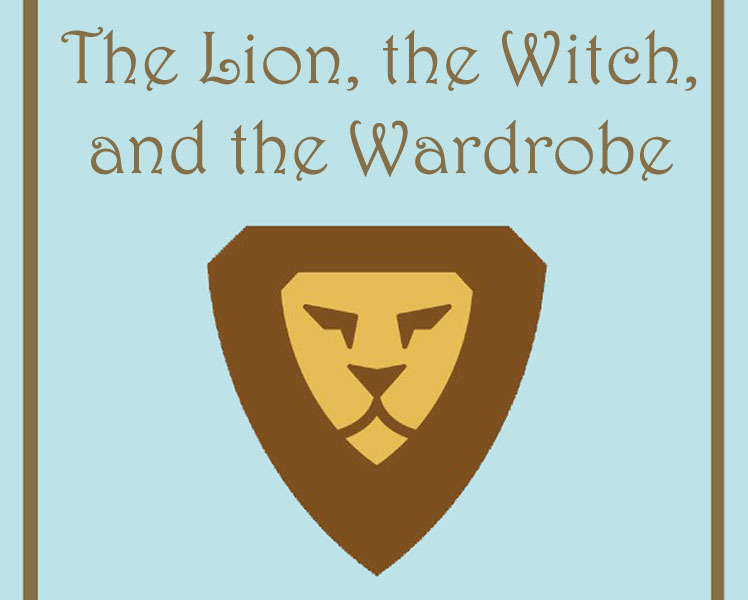 Performers daring to step through the wardrobe and into Narnia are invited to two open auditions scheduled Jan. 28 and 29 from 5:00 – 8:00 p.m. at the Wellmont Regional Center for the Performing Arts (WRCPA) on the College’s main campus at Blountville. Auditions are open to all students, faculty, and community members ages 18 and up. Performers are asked to gather in the lobby of the WRCPA Theater. All actors should be familiar with the story and are asked to prepare a one-minute monologue to be read at the audition. Callbacks will be made on Jan. 30 between 5:00 and 7:00 p.m. A list of performers invited to callbacks will be posted at the Theater website. The production was dramatized for the stage by Joseph Robinette from the story by C.S. Lewis. The play is being brought to the Northeast State stage courtesy of Dramatic Publishing. The production dates are April 3-6 and April 10-13. The play is being directed by Northeast State’s own Elizabeth M. Sloan. Northeast State hosts the annual College Goal Sunday event on Jan. 26, from 2 – 4 p.m. in the General Studies Building of the College’s main campus, 2425 Highway 75, adjacent to Tri-Cities Regional Airport. College Goal Sunday Jan. 26 at Northeast State. College Goal Sunday (www.collegegoalsundayusa.org) is a free, volunteer charitable effort to provide information and assist low-income and first-generation college students and their families. Students planning to attend the workshop need to log onto the website to register to allow for efficient seating. 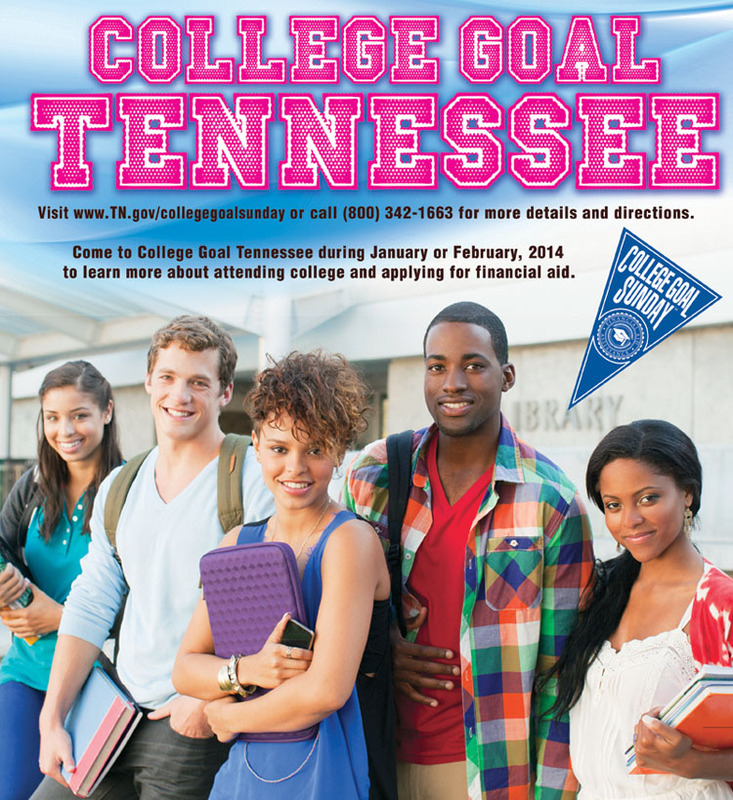 College Goal Sunday helps families complete the Free Application for Federal Student Aid (FAFSA) required to qualify for college financial aid nationwide. Before attending the workshop, students should register for a personal identification number (PIN) at www.pin.ed.gov to serve as an electronic signature for the FAFSA account. Students must bring their PIN to the workshop. The FAFSA form, used at colleges, universities, and technical schools nationwide, should be submitted before March 1 to get the maximum aid available, even if the student has not selected a college. In addition to it being the application for federal aid, the FAFSA form also serves as the application for the Tennessee Education Lottery Scholarship and the Tennessee Student Assistance Award programs. For additional information, contact the Northeast State office of Financial Aid at 423.323.0252 or visit the College Goal Sunday website. Many are worried, scared, or simply baffled with finding health insurance through the new Healthcare Marketplace. Get some insights and peace of mind at a series of informational sessions scheduled next week at Northeast State. Through a partnership with Project Access, information sessions and one-on-one appointments will be available at the College’s Blountville, Kingsport, and Elizabethton teaching sites next week. Blountville – Tuesday, Jan. 21: An information booth will be set up and appointments for advisement will be taken from 10:00 a.m. to 1:30 p.m. in the Courtyard outside Subway. An information session will be held at 1:30 p.m. in L226 at Basler Library on the main campus. Kingsport – Wednesday, Jan. 22: Information sessions are scheduled for 9:00 a.m. and 1:30 p.m. in Classroom 131 of the Kingsport Center for Higher Education. One-on-one appointments are available from 9:30 a.m. to noon and 2:00 p.m. to 4:00 p.m.
Elizabethton – Thursday, Jan. 23: Representatives will be available for one-on-one appointments from 9:00 a.m. to 3:00 p.m. in the Health Clinic, Room E112. Up to 182,000 currently uninsured 18-34 year-old residents of Tennessee could be eligible for new tax credits at the health insurance marketplace. For more information, contact 423.323.0212 or ksrobertson@northeaststate.edu.